Lake Street Press, 9781936181179, 288pp. Santina Pietra is seventeen and in medieval San Gimignano, daughters of merchants are expected to marry. But Santina cares only for Calandrino, a brilliant young scholar who is preoccupied with his ancient alchemical texts. Soon Santina meets Trotula, the village midwife, who might or might not be a "strega," a witch. Trotula challenges her to forget Calandrino and become the woman she is meant to be. Some say she is a victim of the midwife's spell, but Santina is determined to follow in Trotula's footsteps even as calamities strike. The setting is 14th century Italy, yet in Santina contemporary readers will discover a strong-minded young woman whose search for meaning echoes their own. 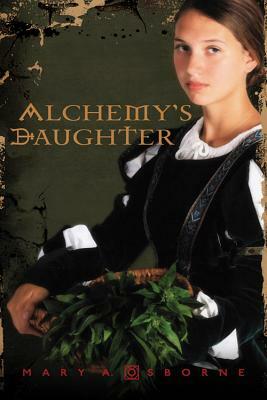 Alchemy's Daughter is award-winning author Mary A. Osborne's second novel.